Have you ever wanted to do something, but were afraid of what others might think? I'm sure many teachers and parents have had this conversation with their students and their own children, who were hesitant to stand up for someone or some ideal. I have. It leaves me wanting to make sure my students feel empowered to be themselves, be the best they can be and stand up for what they know is right. One of the best ways for me as a teacher and parent to address issues that concern our children is through literature, and have them apply the wisdom found in stories to their own lives. I've found it gives children courage to do the right thing; when they know others have been faced with similar choices. And, these book suggestions are just in time for World Read Aloud Day...! 1. 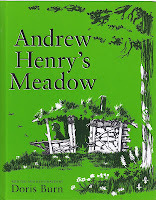 Andrew Henry's Meadow: by Doris Burn. This is a classic book from 1965 reprinted in 2012. 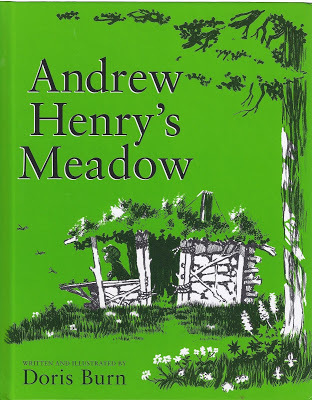 I first heard of this book from twitter @ReadAloudDad who posted a blog on the wonder and creative thinking of character Andrew Henry. The book is an excellent spring board into a conversation with your students of what it means to be yourself and do the things you are best at; no matter the opposition you face. It is an admirable reminder to let others be who they are and not try to make them fit into the type of person you want them to be. Andrew Henry did not give up on the building and creating he loves to do, nor his journey to discover his own uniqueness. It opens the discussion of Virtues and PYP Attitudes of what it means to be Confident, Creative, Co-operative, Determined, Enthusiastic, Flexible, Peaceful, Tolerant, Respectful and Independent, among others. 2. 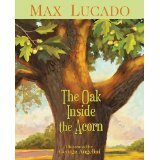 The Oak Inside the Acorn: by Max Lucado. This is a beautiful story about an acorn who does not know what he is to become and tries to grow oranges and flowers because that is what other trees/plants are doing around him. As he grows, he finds his own purpose and helps a young girl also have the courage to become herself. This is a wonderful analogy about growing up and discovering uniquely who you are meant to be, and not to compare yourself to others. Lucado's book opens up discussions of Virtues and PYP Attitudes of what it means to be Confident, Creative, Curious, Confident, Independent, Tolerant, Thankful, Determined, Purposeful, and Patient. 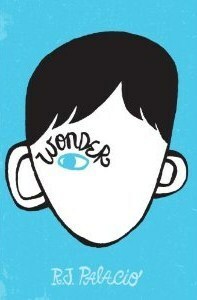 3.Wonder: by R.J. Palacio Many have heard about this fantastic nominated book for the 2013 Newbery Awards. It is an outstanding story demonstrating the Virtues of Kindness, Caring, Respect and Assertiveness; the PYP Learner Profiles: Caring, Principled, Open-minded and Risk-taker; and the PYP Learner Attitudes: Respect, Integrity and Empathy. You can read more of my reflections on this book from my previous post. International Stand Up to Bullying Day was recently celebrated by more than 3100 schools and work places in North America by wearing pink to draw attention to the effects of bullying, and stimulate passive bystanders into action. In addition to stories to connect with our students, here is a wonderful song video by Artists Against Bullying, as seen at my children's school awareness assembly earlier this year. Pablo Picasso stated, "Action is the foundational key to all success." What books, short videos, and songs do you use with your students to explore and encourage them to be themselves, be the best they can be and to take action to stand up for what they know is right?